Such a beautiful morning at the Dallas Road waterfront. 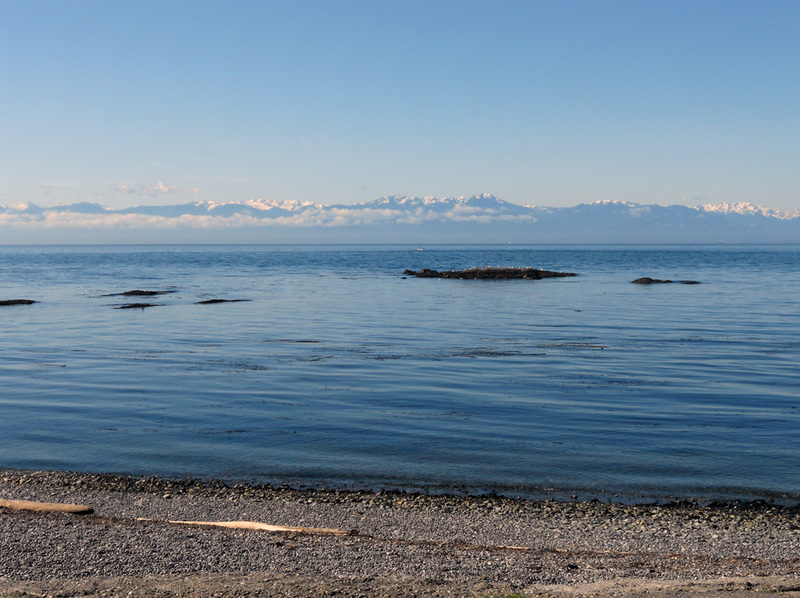 The ocean was calm and the Olympic Mountains were glimmering in the morning sun. Just after I took this, I met Fred the west-highland terrier and his human. Fred sat by my feet while I spoke with his human; I wish I had remembered to take his picture as he was so very sweet. The best view in the city, hands down! Thanks for sharing!